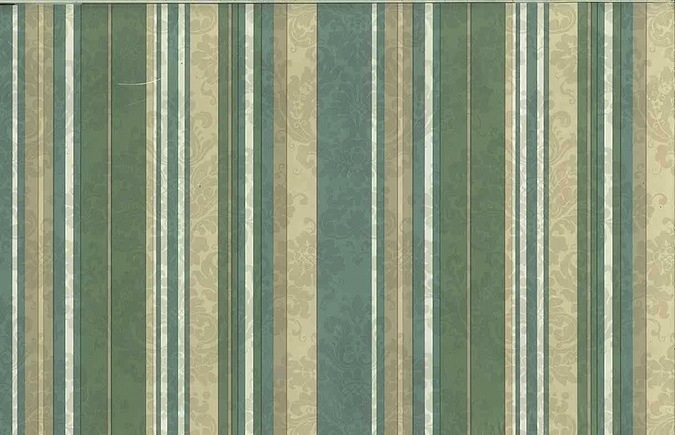 This vintage green striped wallpaper is a wonderful combination of a classic stripe with a damask pattern that appears as a subtle pearl finish design on a glazed background. 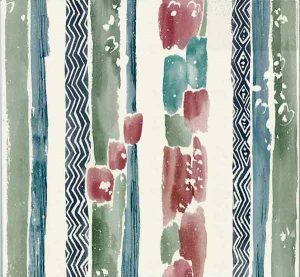 The stripes are varying sizes ranging from very narrow to medium to wide in shades of medium Green, Taupe and Cream. 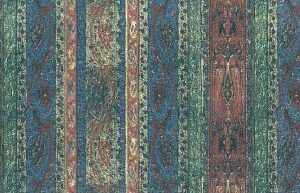 This traditional paper would enhance a entrance, library, living room, or bedroom. Note: The greens are lighter than they appear in the photos (deep sage). You may want to request a color swatch before ordering.